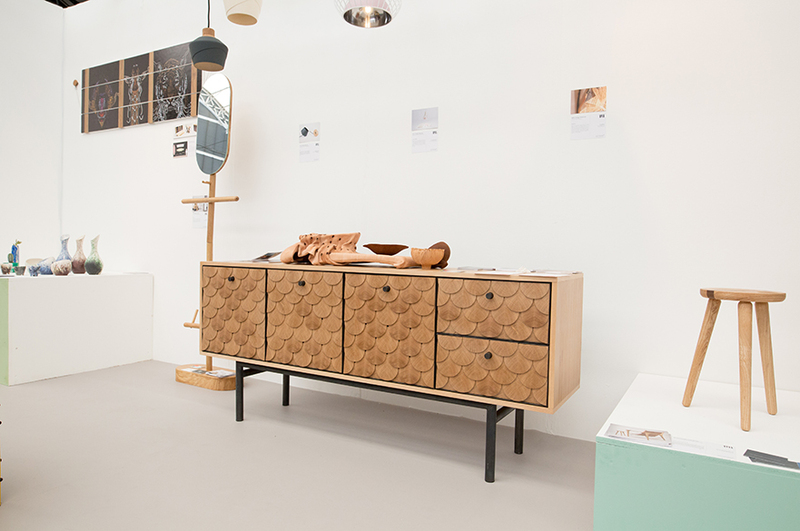 Students from our BA (Hons) Furniture and Product Design and BA (Hons) Product Design courses were commended at this July's New Designers Part 2 exhibition in London. 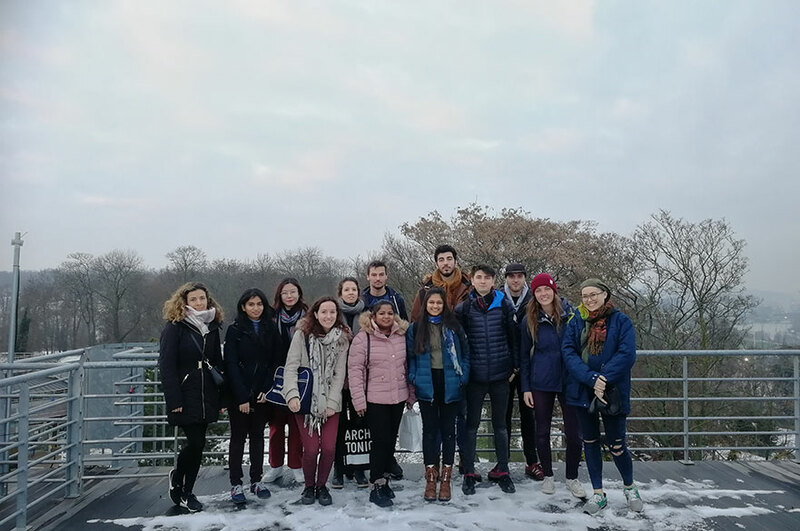 Students from our BA (Hons) Furniture and Product Design course were awarded a number commendations by Sainsbury’s, Made.com and Johnson Tiles UK. 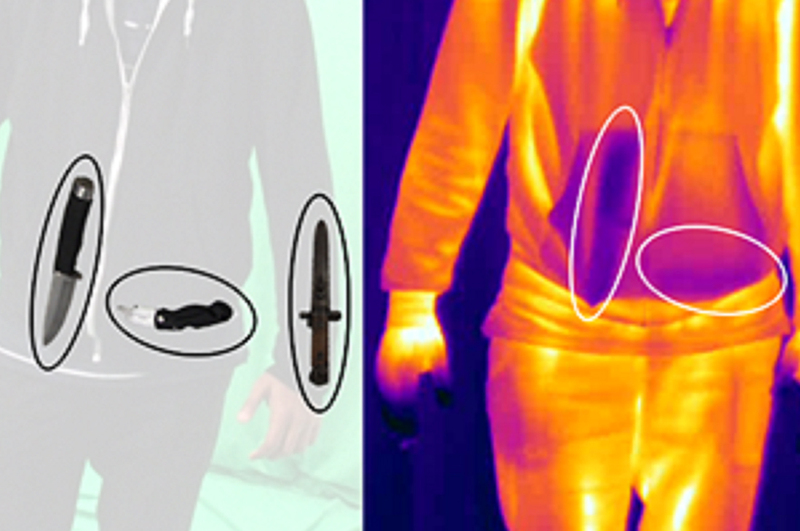 Two students from our BA Product Design course were also nominated by Made.com and Innovate UK. BA (Hons) Furniture and Product Design student Jack Tanser alongside fellow student Jack Butterworth were both nominated in the Sainsbury’s One to Watch Design Award. Jack Tanser was shortlisted for his ‘Omfavne’ chair which, inspired by Danish furniture design, offers comfort and functionality for both domestic and commercial spaces. Jack Butterworth was shortlisted for his cabinet ‘Malone’, which encapsulates elements of the American Prohibition era and modernises them to create a minimalistic storage unit. Jack was also invited to apply for the One Year On exhibition at next year’s New Designers. 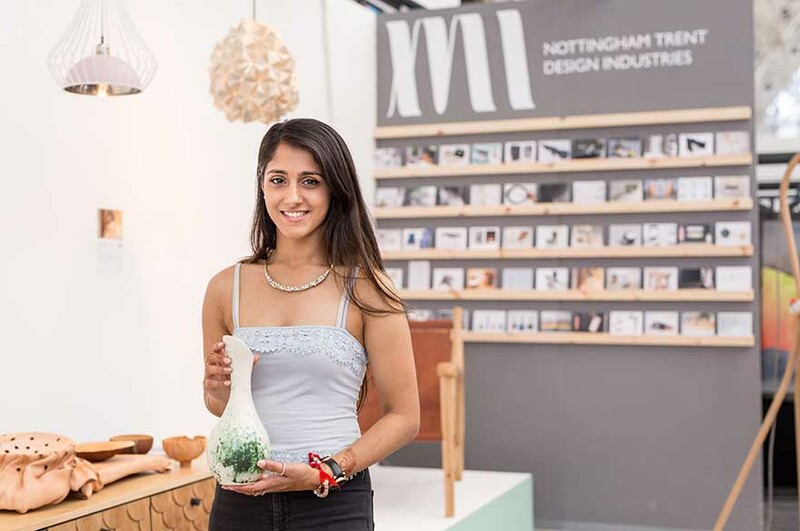 Fellow student Navdesh Bains was commended by Johnson Tiles for her ‘Casting Earth’ collection which was inspired by the craftsmanship of ceramics. Her collection consisted of hand-made vases, pot pourri bowls and tea lights created for decorative uses at home. Natasha Lewis was shortlisted in the Made.com award for standout pendant light design ‘Viv’. The light is designed for the domestic kitchen-dining environment. On being commended by Made.com Natasha said: “ It was such a valuable experience to be nominated, knowing that someone sees potential in your designs. It made me realise that all the hard work I have put into my Furniture and Product Design degree in the last four years was worth it”. Also commended by Made.com from our BA (Hons) Product Design course was Laurence Organ-Jennings. His café/bistro style chair incorporates bright colours and soft curves and is specifically designed for local Nottingham Café Sobar. Laurence has also been invited to apply for the One Year On exhibition at next year’s New Designers. BA (Hons) Product Design student Martin Lee was nominated by Innovate UK as a show highlight for his washing aid design ‘Companion’, which allows travellers to wash clothing conveniently and quickly. Interested in studying BA (Hons) Furniture and Product Design or our BA (Hons) Product Design course? 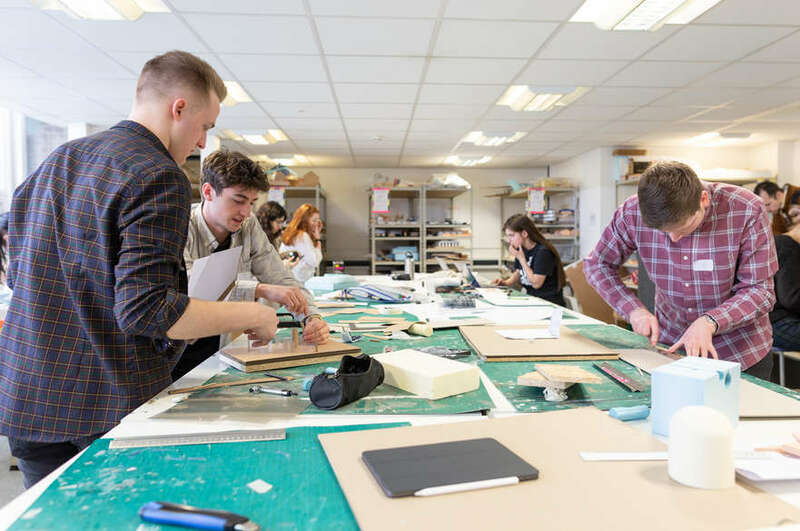 Book an Open Day to meet our students and staff, and find out more about life in the School of Architecture, Design and the Built Environment.